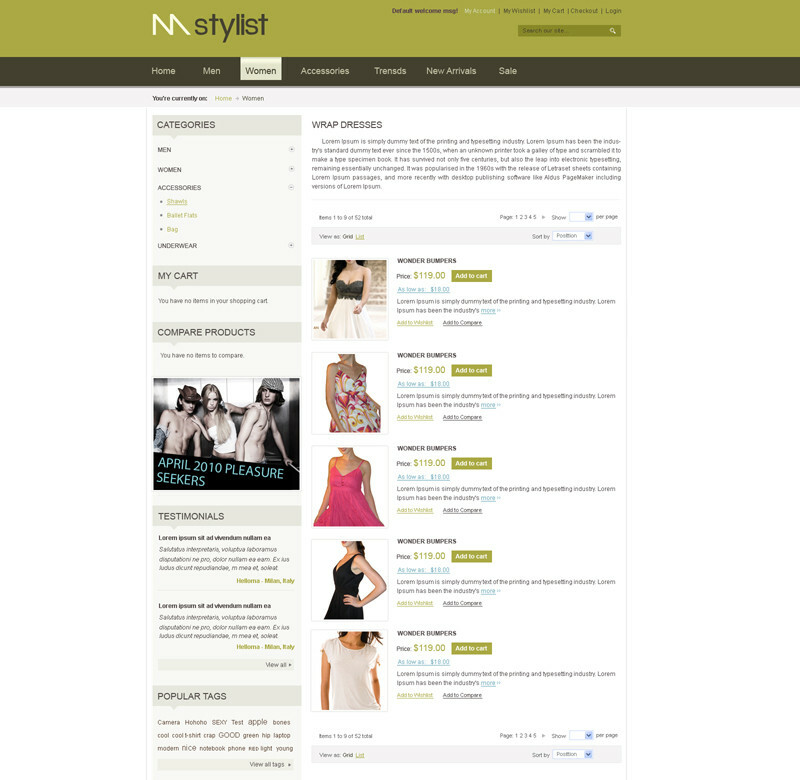 With three youthful color skin, mStylist will blow new fresh air into your online store. In addition, completely customizable sub pages are included. 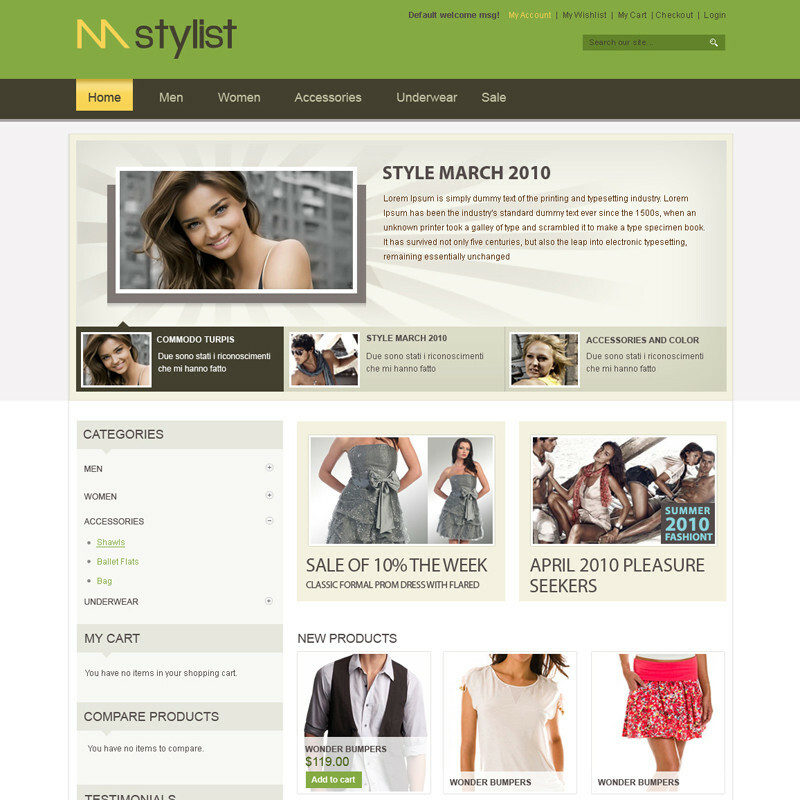 Promisingly, customers will be impressed by the youthful style of any magento webshop using this theme. 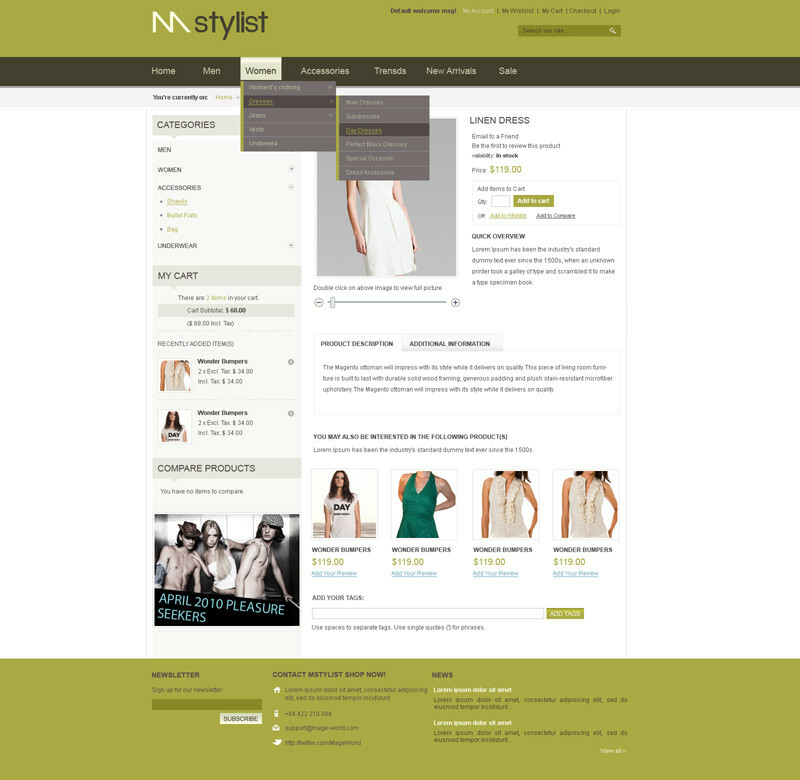 Plus with that, this theme is HTML & CSS validated carefully by our experienced experts. Also, it is very easy to install, easy to use and edit. (+) Allow: You have full permission to use or customize for your website or for your client website. (-) Not allow: You are not allowed to redistribute or resell this theme any where. (*) Copyright: You must keep our copyright at the footer of the template. To remove it you have to purchase the theme with Remove Copyright option. 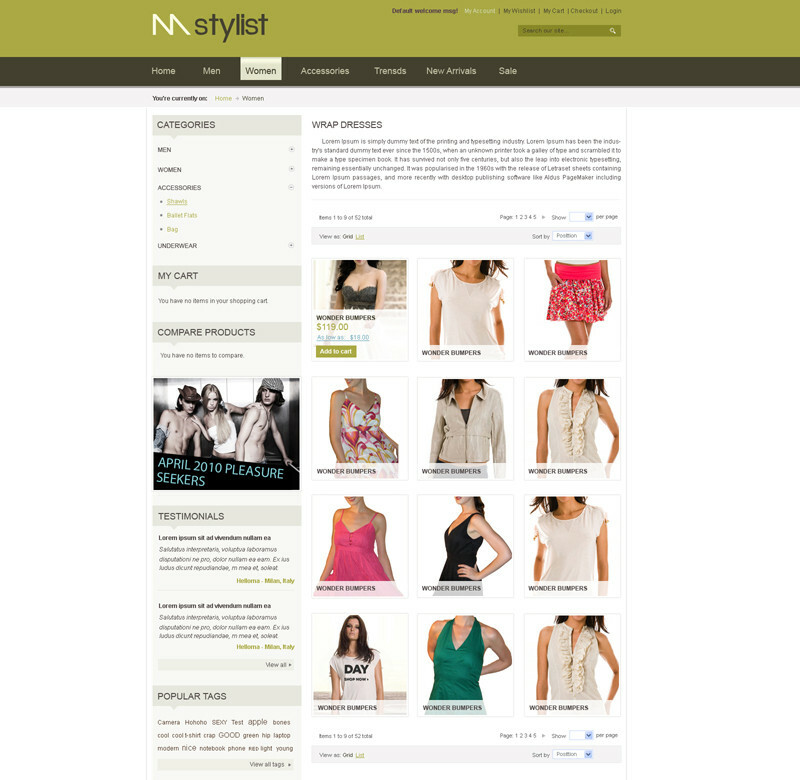 This theme uses Easy Banner extension, Smart Menu extension, Testimonial extension. Please contact us to get the additional extension if you have purchased it.